Other than a cloud obstructing the view and temporarily keeping us off the Eliot glacier upon our arrival, the glacier travel and crevasse rescue course enjoyed great conditions. Craig Johnson and John Solonika participated for the first time. Greg MacCrone and Peter Faiman were back for a refresher course. The titanium ice screws (slow to screw in) won out over the steel ice screws (fast to screw in) for clearly superior features. 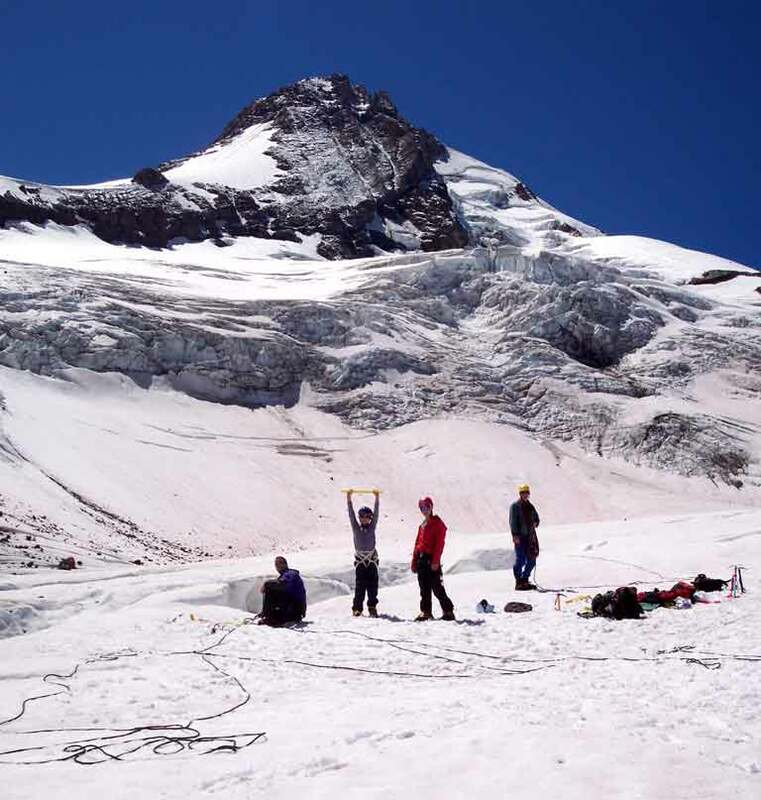 However, as we ended up pounding pickets into the glacier for anchors, the lighter weight of the titanium screws was the only feature tested on this outing. Photo taken during tear down shows from left to right, Greg, Peter, John and Craig.